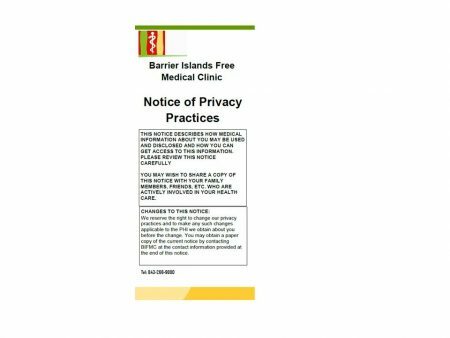 Each time you visit Barrier Islands Free Medical Clinic, a record of your visit is made. We collect or receive this information about your past, present or future health conditions to provide health care to you. We are legally required to protect the privacy of this record containing your Protected Health Information (PHI). Read more about our privacy practices here or click on the document below. Notice of Privacy Practices. Open Document to Learn More.